Last month I took a trip to Healdsburg and visited with Todd Taggart at his new place of business. 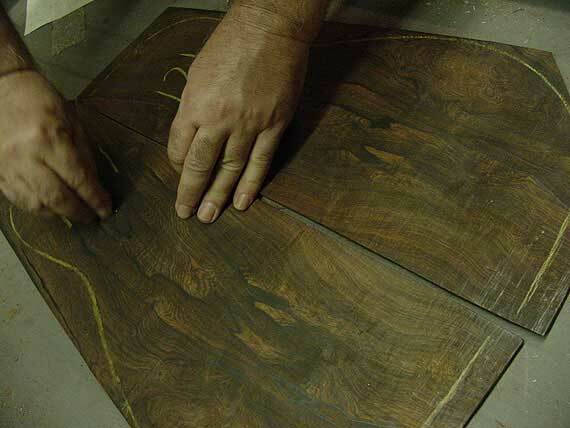 He had been holding an "open house" for the week, so lots of luthiers visited his new digs. 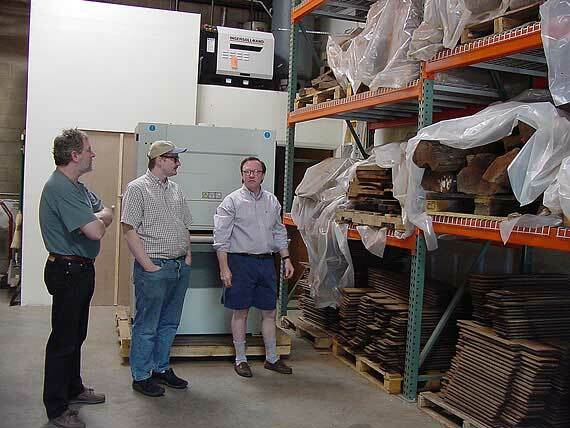 From the left, it's Joe Grubaugh, violin maker from Petaluma, Bill Chapin whose shop is in San Jose, and Todd himself. Todd showed us a few of the smaller logs he's bringing in from Brazil. Until they are cut and cycled through the kiln, the logs are kept wrapped in plastic to avoid the cracking that comes from rapid moisture loss. 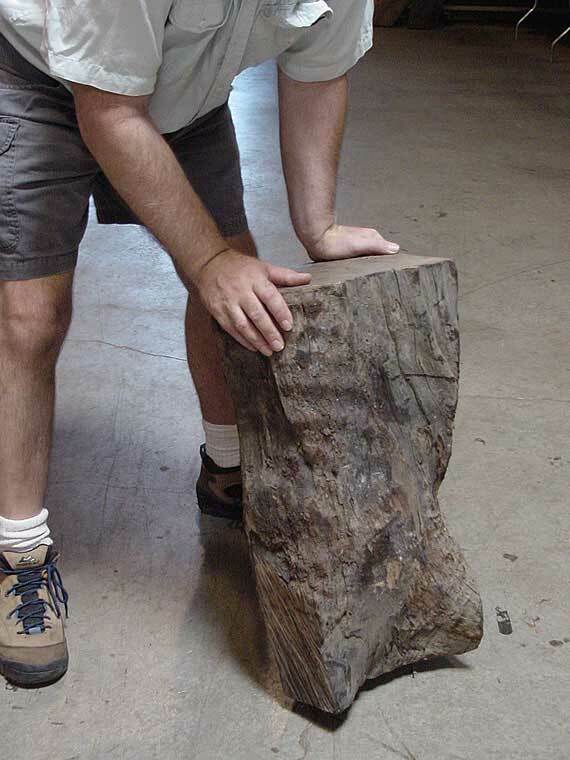 These logs are pieces cut from huge stumps left when the trees were cut about a hundred years ago. 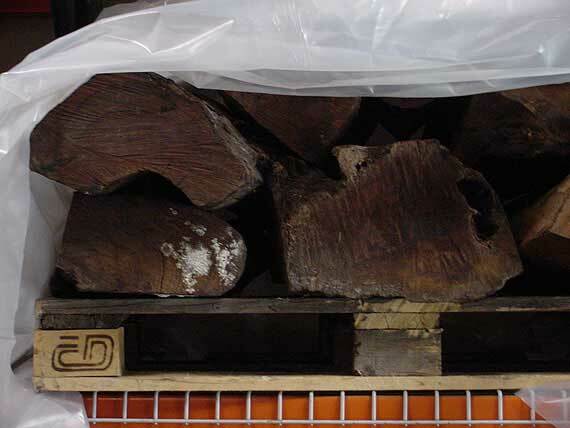 Todd and company are now able to process the necessary paperwork in Brazil to gain the CITES certification needed to export these stumps and logs. Certainly none of us wants to cut any more old growth living trees, and it's gratifying that the government is allowing the dead stumps to live again. 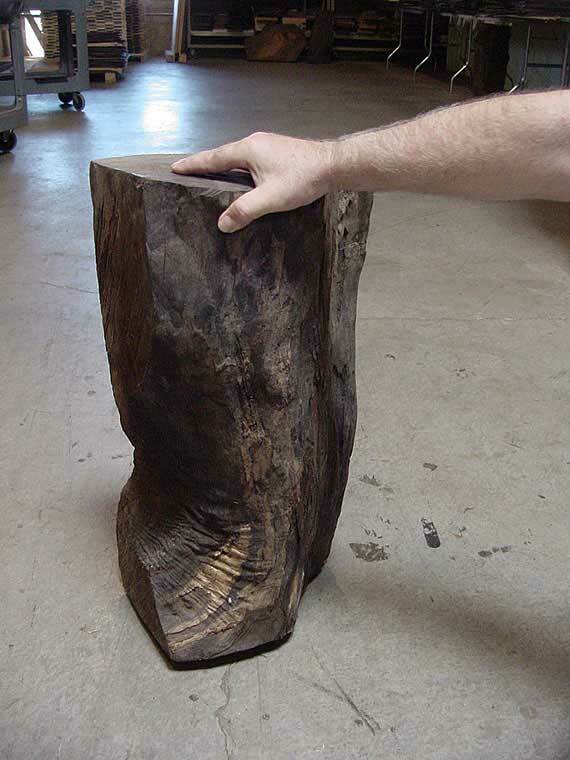 Even though they are only a couple of feet high, the stumps yield plenty of length for guitar builders. And, it turns out that there are thousands of them standing in Brazil. 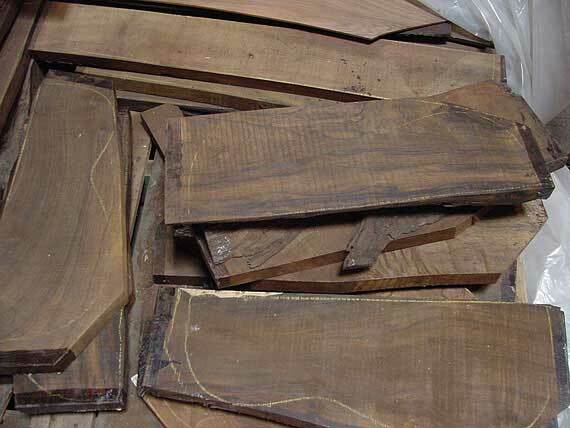 Finally, we may have a continuing supply of rich Brazilian rosewood for guitar building! 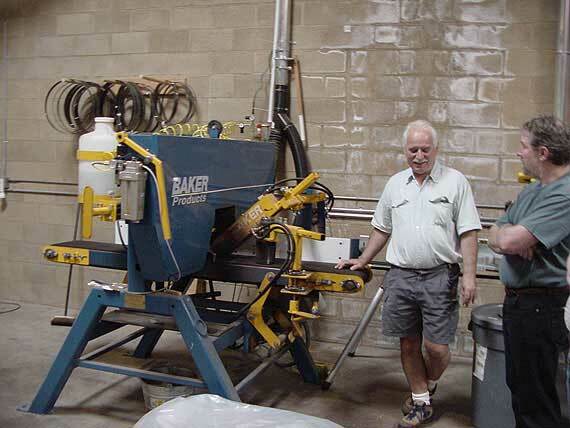 Here's Frank Fuller, standing next to the Baker saw. 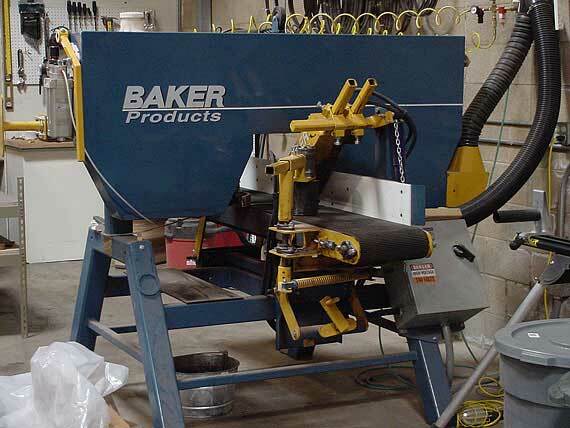 This horizontal bandsaw is just the thing to resaw the rosewood to guitar back and side thickness. 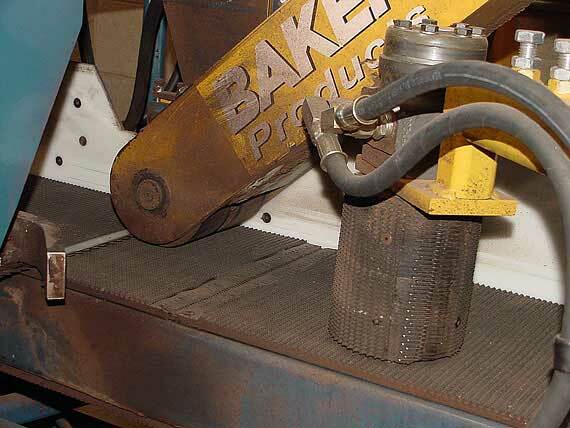 With multiple air and liquid coolant systems, the blade slices through the dense tropical hardwood with speed and precision. 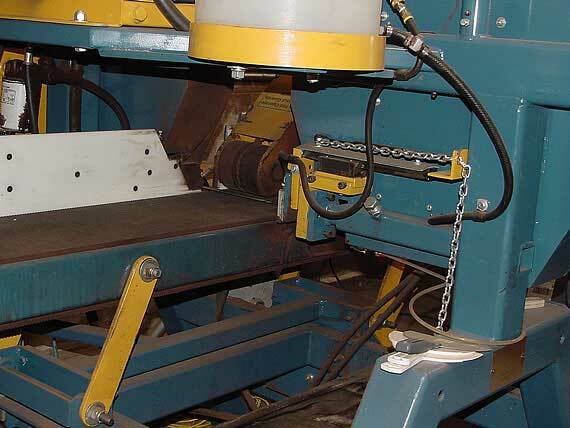 There's a power feed head in addition to the moving belt on the table, to assure constant cutting speed. Because it was open house day, the saw was not running, but we got a good view of the process. 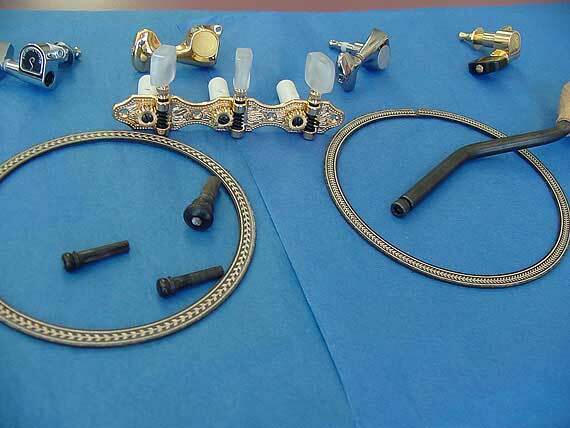 And, a better view of the product. Here's a batch of guitar backs awaiting the time when they will be matched up with appropriate side material. Take a look at this guitar back. I never expected to see this kind of lumber available in quantity. Thanks to the new availability of legal Brazilian rosewood, the price has become more reasonable, too! 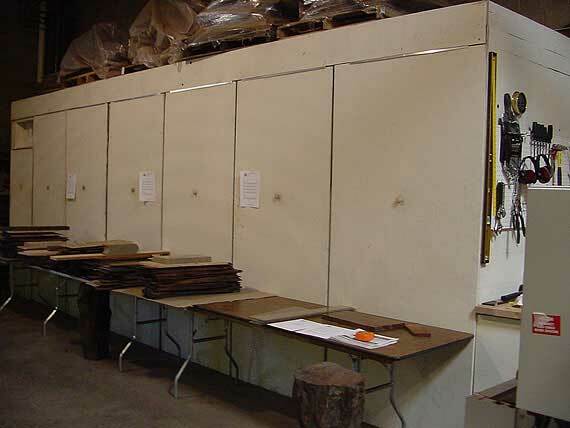 Around 400 sets of Brazilian rosewood were sold from these tables this week. I got here just in time to see the last of them, spread out for viewing. That's the kiln behind the tables. 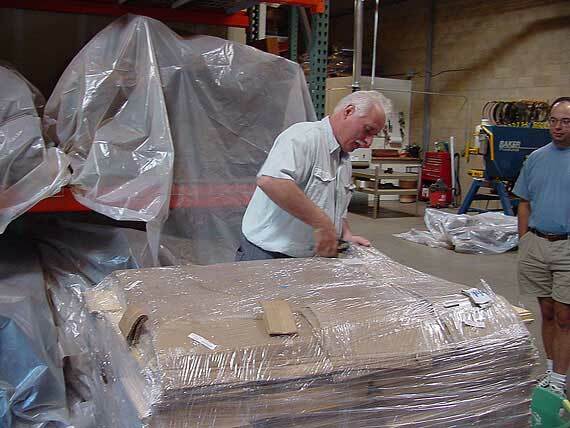 Here, Frank opens a pallet load of European spruce. 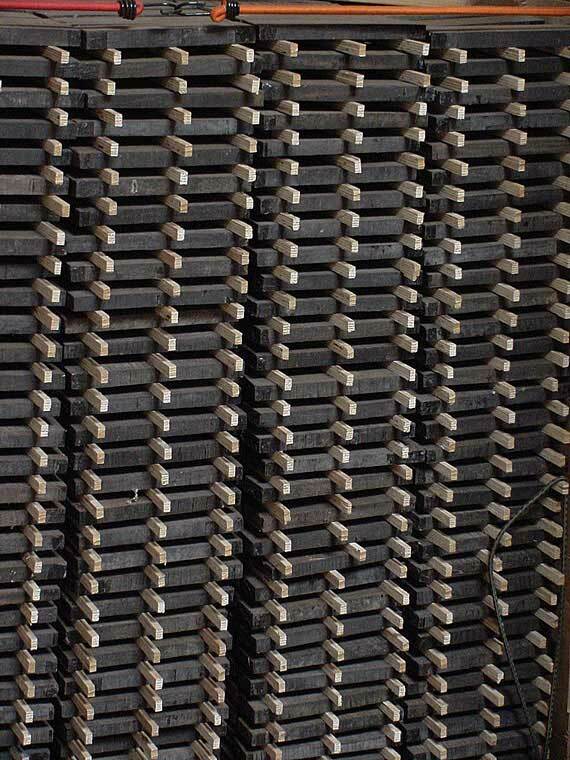 Way in the back, there's a stack of "stickered" ebony bridge blanks. 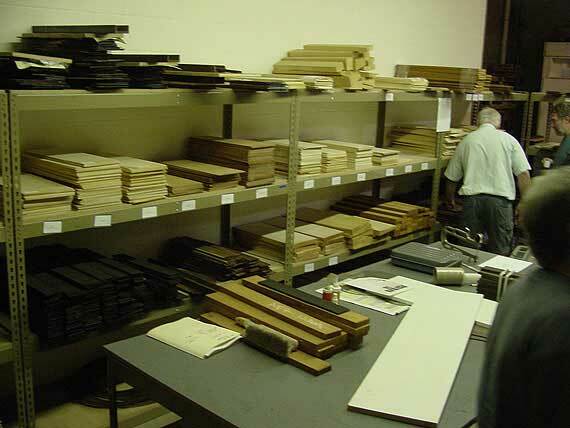 Here in the shipping area, woods and other materials are sorted and matched. Allied Lutherie is starting at the top, with Brazilian rosewood. 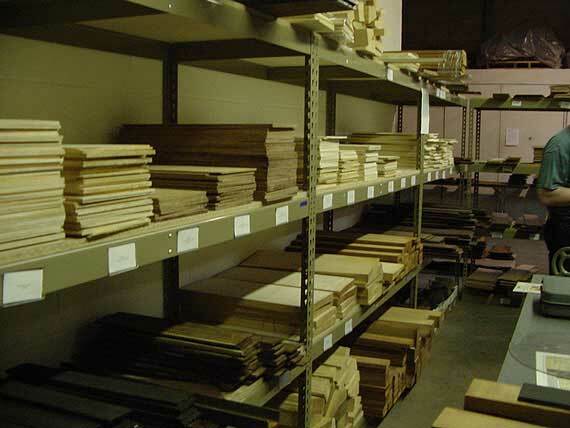 But, there are lots of other rare woods in stock and many more species will be added as the business grows.